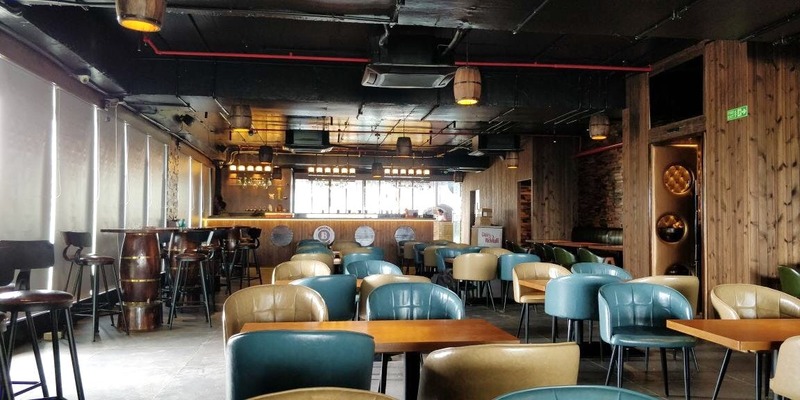 Linkin Barrel is a new Indo-European resto-bar that is opening up at Baner Pashan Link Road on Saturday, July 28 and here's why it's worth a visit. This bar, although being chic and quirky, has an old-school charm. Imagine wooden furniture, barrel-like ceiling lights, dual-tone colour-play, a plush bar at the centre, and a gorgeous outdoor setup, Linkin Barrel is going to take the town by storm. Food-wise, we hear one of their best creations is the beer can chicken, an ultimate appetiser for meat lovers. Apart from this, must-try their Burmese pyajo and Chettinad mutton chukka for the main course. When it comes to desserts, don't look beyond the scrumptious motichoor rabdi parfait, an absolute masterpiece by the chef.